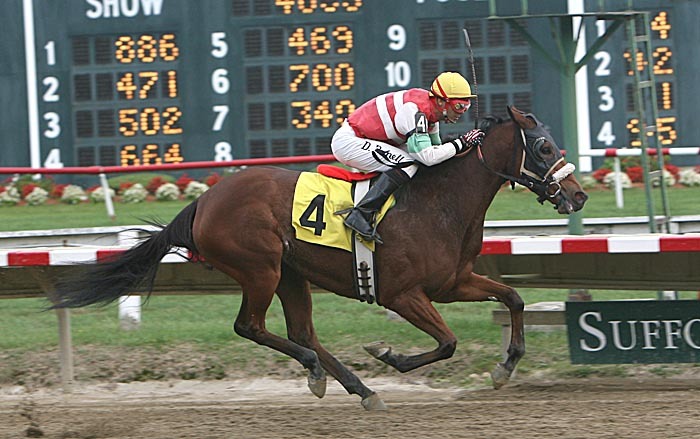 She found the winning combination—a 15.3 hand mare at the right price—just 50 miles south of her New Hampshire barn, at Suffolk Downs in East Boston. The horse, Brilliant Mrs. W, was the first she met during a visit last October, and none of the others she met during that trip compared. Up to then, Archibald’s experience with Thoroughbreds had been somewhat limited, but favorable. 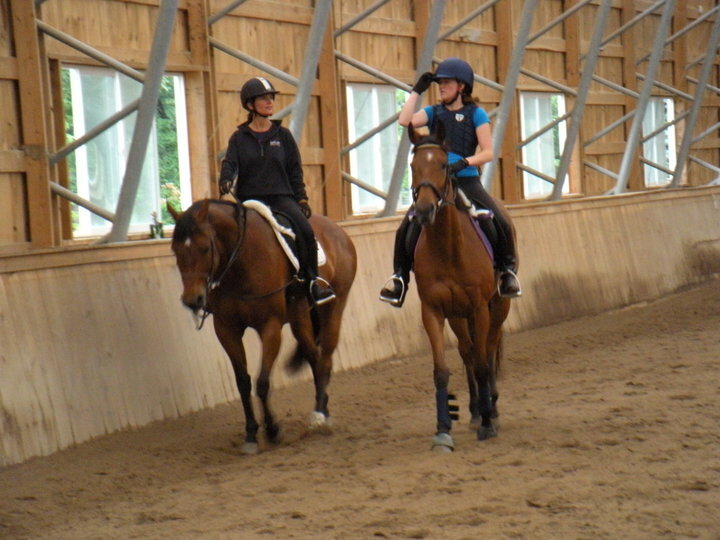 After noticing the successful partnership between a Thoroughbred at her barn and his rider, she began leasing an off-track Thoroughbred, and soon discovered the pleasure of riding an ex-racehorse. 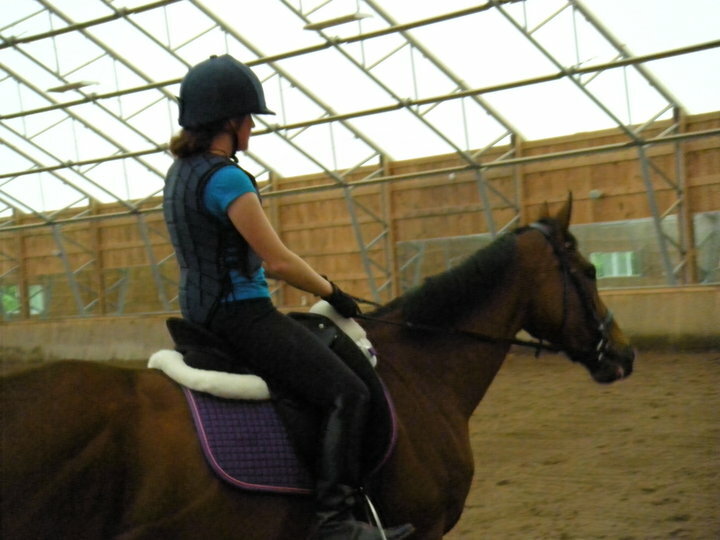 “I loved her gaits and she could do all the tests” that were thrown at her. With a Thoroughbred of her own now, Archibald is having a blast teaching the mare (renamed Bella) the foundations of show-ring work. They’re starting slow, but Archibald hopes to have the ex-racer ready for dressage tests by the end of the summer. “Mostly we’re working on getting her to bend in any other direction besides left, and on getting her to set her head out of the clouds,” Archibald says. The mare has also has to get used to the idea that she doesn’t have to race other horses in the ring and can take it slower as she moves through her gaits. Archibald, who rode another horse to win at the 2007 and 2008 Sherry Olson Memorial Award at Spinnaker Hill Farm, hopes to bring Bella to the Green Acres horse trial in New Hampshire this fall to capture a blue ribbon of her own. Hi Lisa! Thanks for your comments–they help a lot!